Baseboards are easily taken for granted in the grand scheme of home decor (and they can actually have a pretty big impact on a room) but with tile baseboards, this oft overlooked decorative detail gets its moment in the sun. Multiple considerations go into choosing baseboards for a room (such as functionality, style, and cost), and tile baseboards are no exception. Tile baseboards serve the primary function of baseboards — they cover the unsightly joint where the wall meets the floor — and they do it with style. 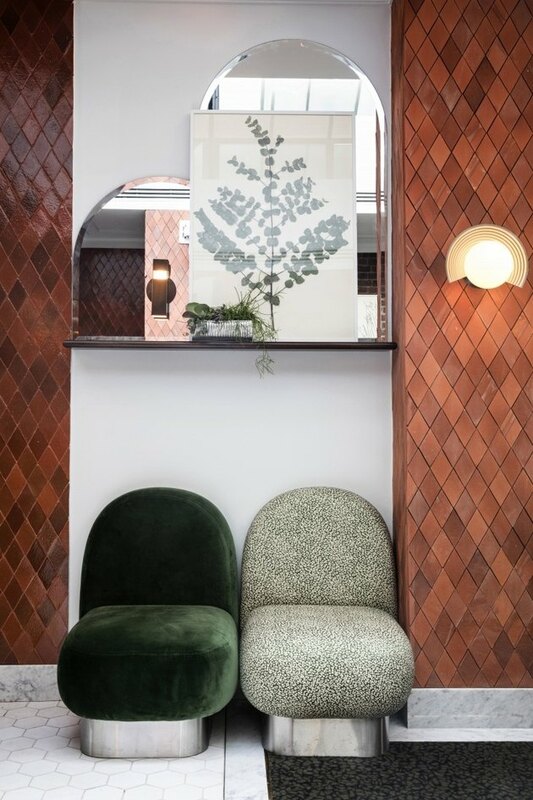 They work particularly well with tiled walls and/or tiled floors by creating the effect of a seamless transition, but can pair with plenty of other building materials as well. 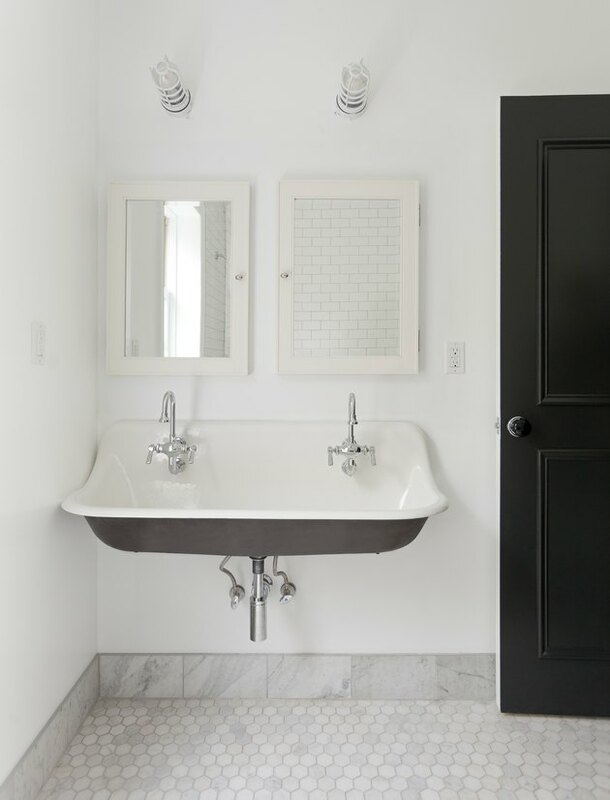 Since they do go hand-in-hand with tiled walls and floors, you'll most often see tile baseboards in bathrooms and kitchens, but you'd be surprised at how great they can look throughout the home. You can use decorative tiles, like the handcrafted ones above, as baseboards to enhance any room; and, there are options available to suit any taste, and match the decor of any space. 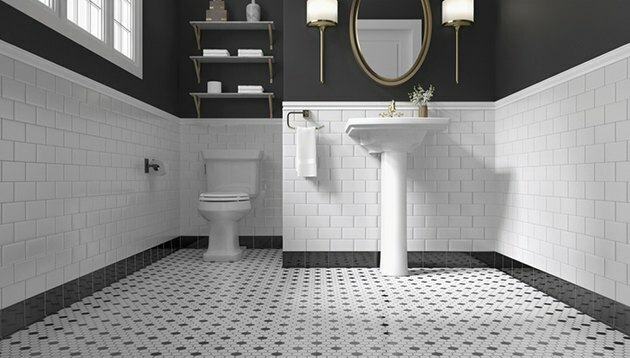 We're used to seeing tiles in kitchens and bathrooms, so when you see the words "tile baseboards," chances are that you start picturing the ceramic tiles so frequently used "subway" style in those rooms. 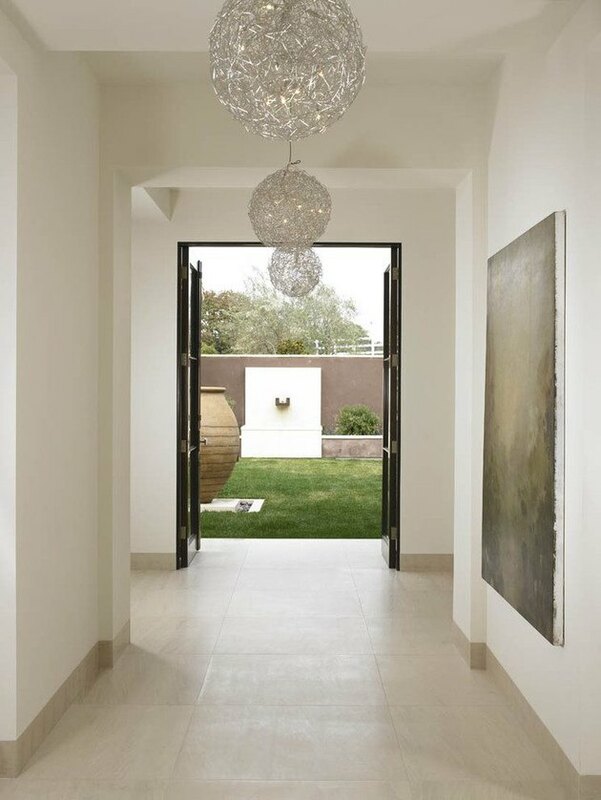 There are actually multiple varieties of tile, but the ones most commonly used as baseboards are ceramic, porcelain, granite, natural stone (such as marble), and glass (usually in mosaic form, as pictured below). With this many options just for the tile type, you're practically guaranteed to find tile baseboards that fit your personal aesthetic. Choice of material for your tile baseboards will mostly depend on your budget. Tile baseboards tend to be much more expensive than other types of baseboards (such as wood, vinyl, MDF etc. ), so budget accordingly! Pricing varies widely by manufacturer but is usually calculated per square foot. The finish (glossy, honed, polished) and depth of the tile will affect the price as well (the thicker the tile is, the more expensive it will be). Ceramic tiles are generally the most affordable, but they still have a fairly large price range: Lowes sells them for as low as $0.73 per square foot and as high as $90 per square foot. Porcelain tiles usually go for anywhere from $3 to $35 per square foot, and granite tiles range from around $6 to $12 per square foot. Natural stone and glass tiles are the most expensive, ranging from around $7 to $30 per square foot, with some of the higher end brands even going into triple-digits. You're going to want to care for your investment once you've had your tile baseboards installed (or installed them yourself). One of the reasons that tile baseboards are so frequently used in kitchens and bathrooms is that they're water- and scratch-resistant, which makes their surfaces easy to keep clean. That said, giving your tile baseboards a deep clean every so often is still a good habit to get into, especially for those frequently exposed to water (as in kitchens and bathrooms). Regardless of what room they're in, baseboards tend to take a lot of kicks, so take care of any stubborn scuff marks with this simple cleaning solution.